ہوکائیدو دنیا وچ کئی شہراں تے ریاستاں نال جڑواں اے. ↑ "Exchange Affiliates". Retrieved on 5 December 2008. ↑ 3.0 3.1 3.2 3.3 "Hokkaido – Alberta Relations". http://www.international.alberta.ca/documents/International/Hokkaido-AB.pdf. Retrieved on 2010-05-30. ↑ "Alberta Sport, Recreation, Parks & Wildlife Foundation". http://www.asrpwf.ca/sport/international-sport-exchange.aspx. Retrieved on 2010-05-30. 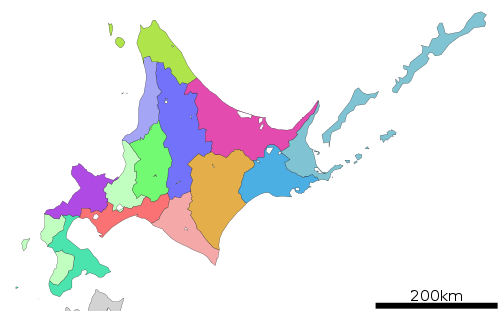 ↑ "Massachusetts Hokkaido Association". http://www.masshokkaido.org/Default.aspx?pageId=151052. Retrieved on 2010-05-30. ↑ "ソウル特別市との交流". http://www.pref.hokkaido.lg.jp/ss/tsk/teikei/gaiyou_seoulkouryu.htm. Retrieved on 2013-11-03.